Adorable move-in ready condo with open floorplan. Enjoy quiet evenings listening to the soothing sounds of the nearby creek on your private covered patio with outdoor ceiling fan. Easy living - everything on one floor, hardwood floors throughout, large living room with fireplace, lots of storage (walk-in closet), kitchen is open to the living room. Community has a pool and you are next door to Laurel Park. 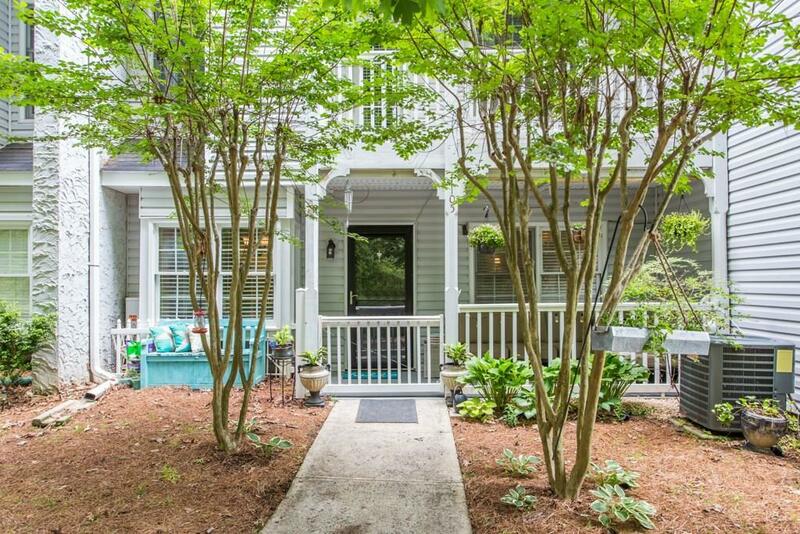 Excellent Marietta location, walk to shopping and dining - close to Marietta Square.